Last week, as the late afternoon eased into evening, we took a walk around our neighborhood. One of my favorite things to do is to take my camera along to gather evidence of how the season's are changing right where I live. While we walk, I pause to quickly capture colors and textures and sounds with my camera. Often I don't look through the lens, I just snap and look later, as I try to tap into my child self who isn't thinking about "how good the photo is" but is instead just looking at the world with wonder. With the photo above, I just pointed my camera up toward that gorgeous blue sky and the forsythia blooms and snapped without looking through the viewfinder. 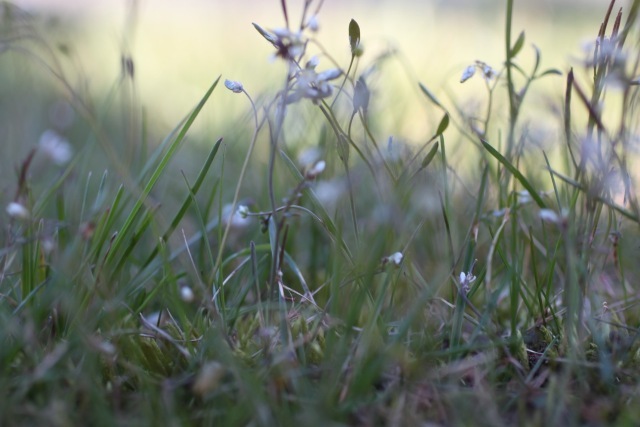 Sometimes I put my camera right on the ground to see what I can find at an ant's view. The photo above was taken with my camera right on the ground, me bending over just to press the shutter button. 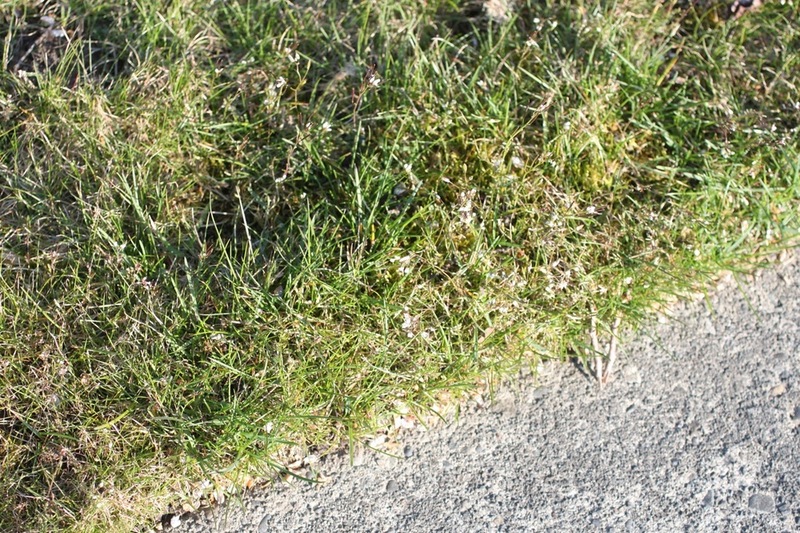 When I stood up, I realized I'd really just been taking a photo of a patch of grass. Who would have thought that this field was just waiting right there? 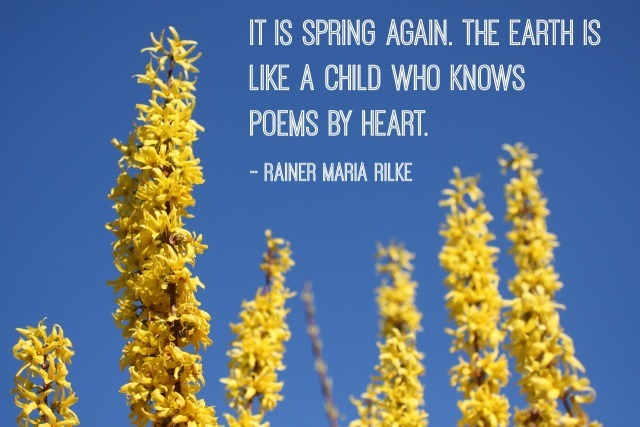 Try it today: Get outside and find the simple beauty and wonder of your world. And then come back here and tell me all about it. Hand to Heart is an invitation to stop signing up for another ecourse or two or three that will sit in your inbox. It is your invitation to start practicing what you know. This ongoing offering is a soft space for you to land daily as you listen to the wisdom within you and practice what you know. When you join, you become a member of a community of kindred women who will be exploring a new soul care practice and theme each month. These practices will light the way as we find the YES in our beautiful, messy lives. Learn more and join in here.